In this file photo, Facebook CEO Mark Zuckerberg speaks at the F8 summit in San Francisco, Calif., March 25, 2015. 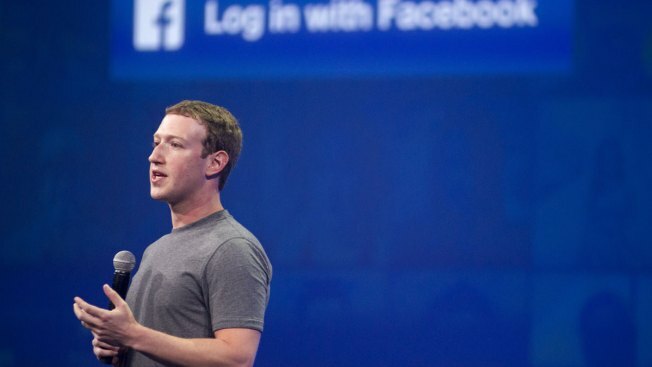 How do you get Mark Zuckerberg's attention? Hit him up near home. That's the approach one Israeli NGO is hoping to try by raising funds to erect billboards near the Facebook founder's mansion in protest of what it claims is a policy on his social network that permits incitement against Jews, NBC News reported. Shurat Hadin, which says it advocates for Israeli victims of terror, is trying to raise $30,000 via crowdfunding site Headstart to pay for the signs. The campaign called "Zuckerberg don't kill us" kicked off on Sunday. "When Palestinian terrorists called for the killing of Jews on Facebook, Facebook closed its eyes," the video released as part of the campaign intones while flashing a picture of Zuckerberg closing his eyes. A recent wave of Palestinian attacks, mainly stabbings, has claimed the lives of 29 Israelis and injured 289. Some 146 Palestinians have been killed by Israeli fire, of whom 101 are said by Israel to have been attackers, according to The Associated Press.